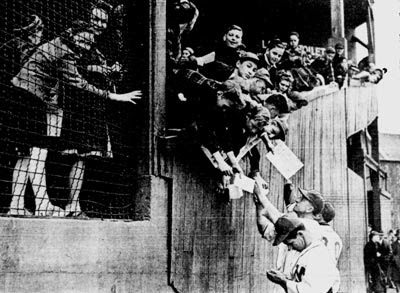 The National League's Brewers have their "Autograph Saturdays," but the Orchard had autograph-seekers all its own. 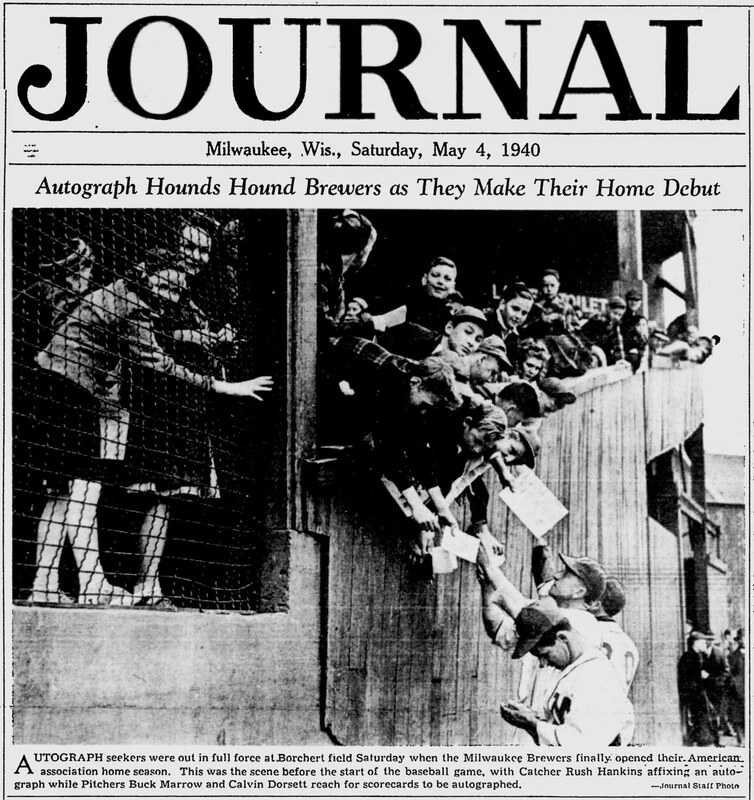 AUTOGRAPH seekers were out in full force at Borchert field Saturday when the Milwaukee Brewers finally opened their American association home season. This was the scene before the start of the baseball game, with Catcher Rush Hankins affixing an autograph while pitchers Buck Marrow and Calvin Dorsett reach for scorecards to be autographed. The players are standing along the right field line, where the bleachers fell away to the outfield. What I wouldn't give for one of those signed scorecards today. Looks like a bunch of bobbie-soxers at Borchert Field.